Model 3010ma paramagnetic percent oxygen analyzer is a versatile, microprocessor based instrument specifically designed for oxygen purity analysis. The 3010ma is a precise, cost effective instrument capable of measuring percent oxygen in specific ranges as required by the air separation and medical gas qualification industries. 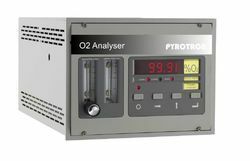 Paramagnetic Oxygen analyzer The portable gas analyser is a rugged, heavy duty analyser designed to accurately measure the composition of common gas mixtures, while in field locations or light industrial applications. Model 3010MA Paramagnetic Percent Oxygen Analyzer is a versatile, microprocessorbased instrument specifically designed for oxygen purity analysis. The 3010MA is a precise, cost effective instrument capable of measuring percent oxygen in specific ranges as required by the air separation and medical gas qualification industries. Servo controlled Dumb-bell Paramagnetic Detector. Sample Dew Point must be at least 10�C lower than local ambient temperature. Oxygen is attracted into a strong magnetic field. 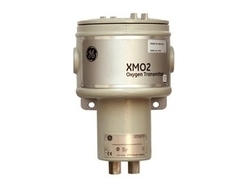 This paramagnetism is used to obtain fast, accurate oxygen measurements. Due to very low zero and span drift and depending on applications the sensor can operate for years without calibration. Non depleting sensor provides years of trouble free operation. Online Paramagnetic Oxygen Analyzer is available for configuration which is most convenient. This transmitter can be located in the sensor housing.